Mariell's collection of Wholesale Cubic Zirconia Earrings features AAAAA quality CZ’s in hundreds of couture designs, all with a lifetime guarantee! Our earrings are offered in Silver Rhodium, 14KT Gold, and Rose Gold plating. Select from trendy dangles, CZ studs, chandeliers, vintage chic, jewel tone colored Cubic Zirconia and clip on earrings. 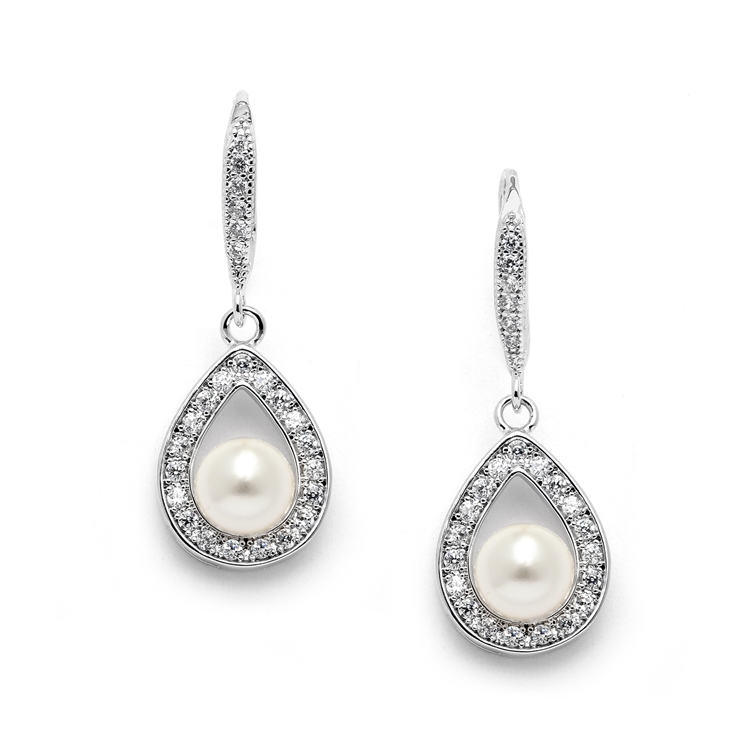 Our Pearl and CZ bridal earrings include White, Ivory and Genuine Freshwater Pearls. Mariell's best-selling Cubic Zirconia Earrings are in-stock for immediate shipping for your wedding or special occasion.